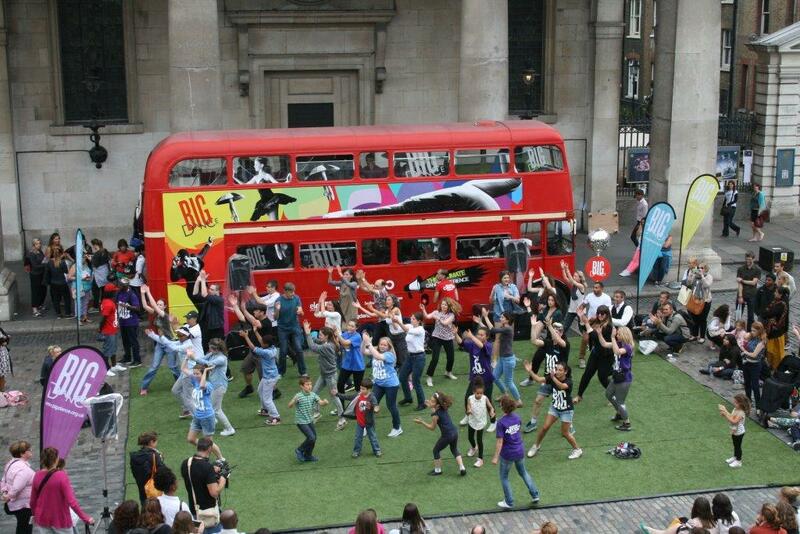 As part of Jubilee Hall Trust’s aims to get more people, more active, more often, the charity booked the Big Dance Bus to come to the Covent Garden Piazza on Tuesday 8th July. More than 30 local community groups and schools were invited, alongside professional dance companies, to come and perform or take part in workshops. On the day, hundreds of people of all ages participated, watched by an enthusiastic crowd. The Jubilee Hall Trust managers entered into the spirit of the occasion by performing a version of ‘Let’s Get Ready To Rumble’.